The Linksys Business Dual-Band Cloud Access Points distribute secure Wi-Fi connection to different clients and provide cloud management features so you can monitor your networks from anywhere at any time. 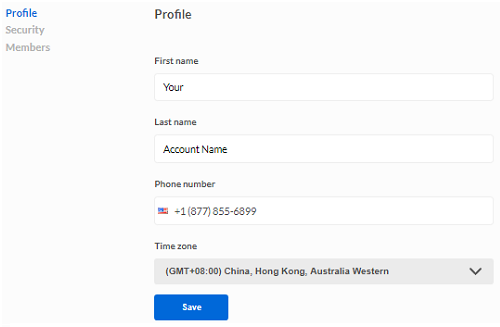 This article provides an overview of the Account settings page, you can view and manage your profile, security settings or add and remove members in your Cloud account. The Profile page displays your profile. You can update or change your profile at any time. Click on the account icon (account initial letter) on the top right-hand corner and then click Account settings. Once you're on the Account settings page, you can click Profile to update or change your profile at any time. The Security page allows you to change your account password and view your sessions. 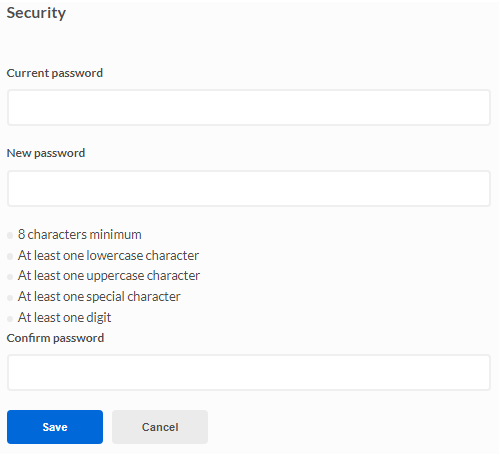 Enter your current password and then enter your new password then confirm it. QUICK TIP: You can also view your Sessions log. If you would like to log out of your current session, click the ellipsis icon > Sign out. The Members page lists all the members of the Cloud account. The first person on the list is the owner of the Cloud account followed by other members, if there is any. 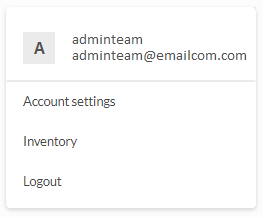 You can transfer ownership to another member who has an admin role. To do that, you will need to add a member first and the new member will need to accept the invite and create a Cloud account before you can transfer ownership. Owner - an owner has full rights to all access point configuration, can transfer ownership, and can add or remove members. Admin - the admin can make all access point configuration and add or remove other members except the owner. The admin is not allowed to transfer ownership. Click on Members > New account member. Enter the email address of the new member in the field and click Save. The new member will receive an email notification to accept the invite. Have the new member click Accept invitation. The new member will be prompted to create a Cloud account. Once they have created a Cloud account, they can now log in as an admin. In order to transfer ownership to another member, you must be logged in as the Owner. You must also add a new member first. Click on the account icon (account initial letter) on the upper right-hand corner and click on Account settings > Members. Select a member and click on Transfer. NOTE: If you have no members yet, you will see an Add member option instead. To remove a member, click on the X next to the name of the member. NOTE: An Owner account cannot be deleted. You can only transfer ownership to someone else and then delete the previous person who was the previous owner. A manager and viewer member can only be added at the network level. To add a member as a Manager or Viewer, follow the steps below. 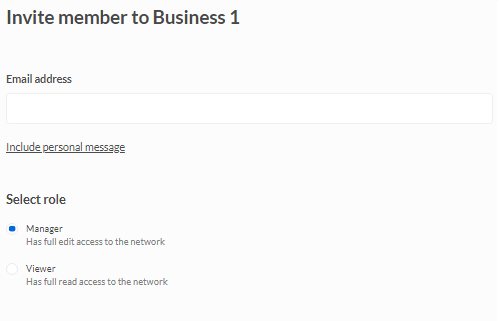 Select a network and click on the Members located under the account icon (account initial letter) on the top right corner. Enter the email address of the new member. Select either a Manager or Viewer role for the new member.